Improved air quality begins with the lungs of your home. Your air ducts are that hidden room in your house, and the air you breathe may be passing through dirt, dust, and debris. Whether you suffer from sinus and allergy problems, have a new baby in the home, notice a lot of dust, or simply want to breathe cleaner air, calling DuctMedic is a first step to healthier living and a cleaner home. Often dryer ducts get overlooked when it comes to keeping vents in your home or commercial property clean. A dryer duct is the leading duct that catches fire. Dryer vents account for nearly 15,000 house fires every year. Self cleaning can only get what’s shown on the surface, not what’s buried in the dryer vent. For professional dryer vent cleaning services, contact DuctMedic today. Don’t fall under another statistic, get your dryer duct cleaned. We also offer commercial air duct and dryer vent cleaning. When we think of pollution, we often think of smoking factories and hazy outdoor air. However, the U.S. Environmental Protection Agency (EPA) has found that levels of some hazardous pollutants in indoor air are as high as 70 times greater than in outdoor air. We are discovering that indoor air pollution causes allergies, asthma and even more serious illnesses. An entire industry has developed to address these issues. It’s called the Indoor Air Quality (IAQ) industry, and the backbone of the industry is air duct cleaning. The best companies also provide dryer vent cleaning as an added service that keeps homes safe from fire and fumes. 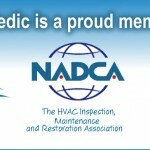 As the IAQ industry grows rapidly, DuctMedic continues to lead the pack, providing you with the most innovative and effective techniques available for cleaning your ducts. In fact, DuctMedic has created its own proprietary 82-Step Cleaning Process, which assures that your ducts aren’t just “less dirty” than before, but “DuctMedic Clean”. Schedule your duct cleaning today. Choosing an Air Duct Cleaner: 21 questions you should ask. The EPA says indoor air can contain 70 times the pollutants of outdoor air, often because of dirty air ducts. 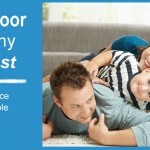 We’re the experts in air quality, dedicated to ensuring your family is breathing cleaner air. You’ll save money too with your HVAC systems running at peak efficiency. More than 15,500 dryer-related ﬁres occur annually, often due to blocked dryer ducts. Are you prepared to protect your home or business? DuctMedic uses state-of-the art products and processes to do just that. Learn how we can help prevent fire in your home.